Originally published November 12th, 2018, updated March 14th, 2019. Finally, the time has arrived. The time when we will be able to see how the next Android OS version will look like and what features it will have. The time when Android app developers will be able to test the upcoming operating system version on their device and contribute to improving its features and functionalities. Google, as disclosed by an image shared on Reddit, has released Android Q Beta 1 this Wednesday. The company, following the trend of launching the beta build of the upcoming Android OS version before announcing it officially on Google I/O event, has made it available on all the Pixel smartphones, including Pixel 3 series. However, it is announced to hit many third-party models sooner, including Xiaomi, Oppo, Nokia, and Vivo. While the functionality of multiple device support and the secret of what will be the Android 10.0 name is enough to make everyone early wait for I/O 2019, the upcoming Android version has come up with various exciting features to maintain the hype. As confirmed by Google when Samsung announced its all-new foldable devices Galaxy F, Android Q is supporting the Android devices with foldable displays with a major update in terms of battery life. 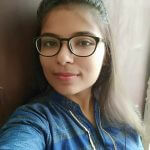 This, on one side, enables Android users to enjoy exemplary services at lower battery consumption and on the other, the Android app development companies to customize their apps and games effectively and generate higher revenue. Android Q has also come up with a multi-resume feature which is upgraded version of what we have been experiencing under the name of, “Split Screen” and “Picture-in-Picture (PiP) mode”. This feature enables the users to use all the split app screens in active mode. In other words, it won’t be like all apps in the background will go inactive/sleep mode while you are interacting with an app. All the apps will run simultaneously, independent of your interaction with the other opened app screens. This will enable the present generation to enjoy working with multiple apps on their smartphones, i.e., do multitasking. This is one of the Android 10.0 all new features that are expected to be made compulsory on foldable devices. However, it will also be available on current generation smartphones, signifying more Android customers will love to do multitasking now. 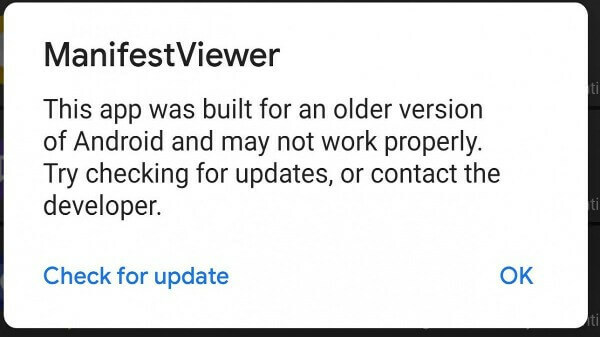 Following the Play Store’s policy update of making ‘Android 8.0’ ready apps, the Android Q has introduced the feature of warning users against older apps. This new Android Q feature informs the user that they are installing an app based on Lollipop or earlier and that it won’t be able to employ the latest features of the smartphone. And this way, prevent them from installing an application that won’t work efficiently on the latest Android OS and have an unpleasant experience – which is as exciting as knowing Android 10.0 name. Android Q beta is also using Vulkan API for delivering exemplary user experience, which is an effective low-overhead, compute and cross-platform 3D graphics API. Google has also worked in the direction of improving the Treble compatibility with the newer Android 10 (Android Q) version. The tech giant will aid the users with the opportunity to flash GSI (generic system images) on any Android device running on Android Q and enjoy faster software updates. As announced by Google team at the Android Dev Summit 2018, the Android Q update will be made available on GSI before it is available on AOSP. 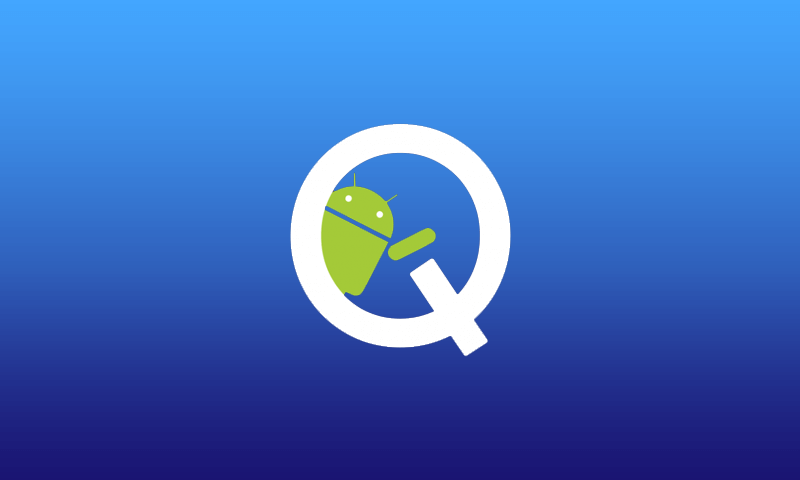 The Android Q source code is will be shared with Android developers and users through an OTA (Over-the-Air) approach. The tech giant will request the interested users to register for testing Android 10 beta and once done, the beta update will be rolled out on their devices. This is expected to be more significant than flashing a beta version like in the case of Android Pie. Android Q dark mode is another exciting addition to the features that we will observe on upcoming Android version. 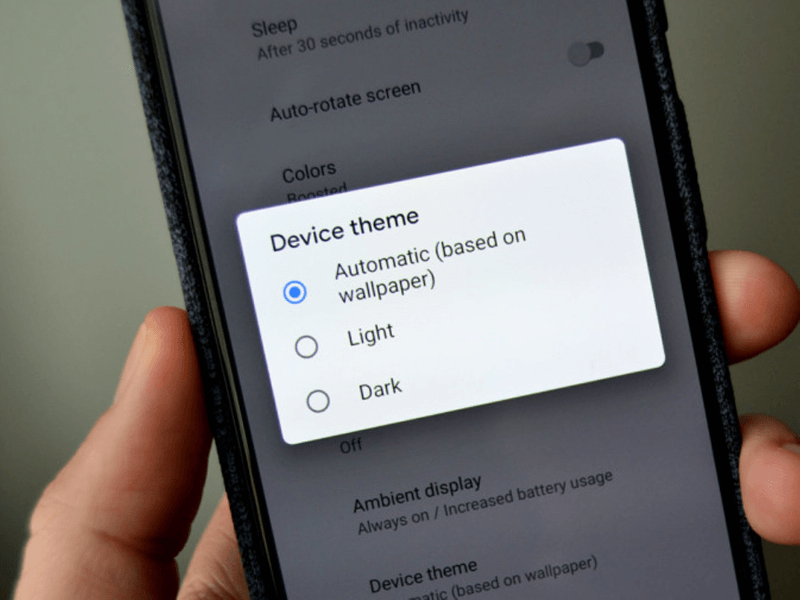 This feature, as confirmed by Google, cuts down the battery consumption on devices with OLED screens and enables the users to enjoy more productive hours on their devices. Android 10 beta version is also highlighting the arrival of two new smart locks. The first type enables us to increase the unlock time period of our Android device, provided it is already unlocked. And the second type of smart locks when the trusted device is no longer trusted, resulting in boosted privacy and security. Besides introducing such smart locks into the Android environment, Android 10 is also coming up with facial recognition functionality. This enables users to easily unlock their device, log in to different apps and even place an order. Also, it encourages brands to integrate facial recognition technology into their app tech stack and leverage higher benefits. 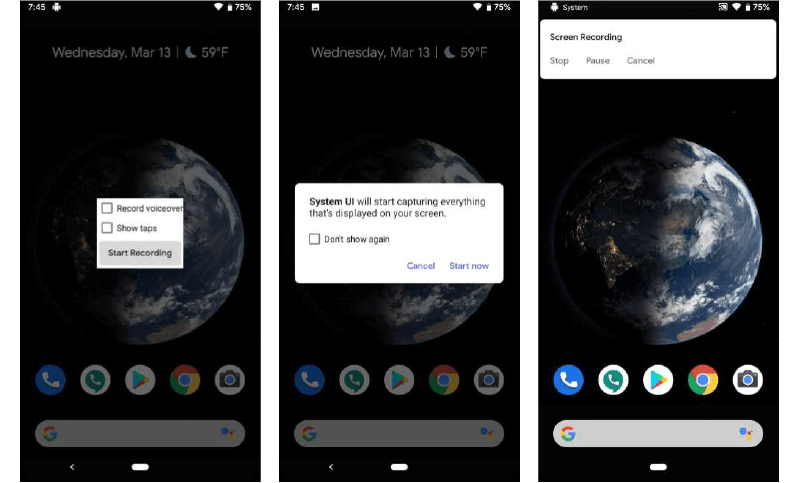 Another exciting feature that adds to Android Q all new features is native screen recording. The feature offers multiple controls in the notification shade, while it seeks for your permission in the first time. Besides, it also provides with an opportunity to record a voice-over that goes well with a video clip. The Android 10.0 Q beta version is also throwing hints of taking your experience with Project Treble to the next level. It empowers app developers to flash different ROMs on a single device effortlessly – without even unlocking the bootloader or conduct a data wipe. This feature will eventually help to make it easier for OEMs and developers community to test their new Android OS versions and update at a faster pace. Besides Android Q dark mode, another impressive feature that Android Q beta version is overhauled permission set. The new Android OS version gives users an opportunity to have a comprehensive look at the apps having access to native device features such as location, camera, microphone access, etc. through a search function. The users are also entitled to change the permission setting of each application individually. Additionally, they can customize the settings, signifying they can decide if to provide the access ‘all the time’, ‘for once’ or ‘only when the app is in use’ etc. This feature is already available in iOS and when it is hitting the Android market, it is predicted to give a new direction to iOS vs Android battle – beyond what we discussed in our iOS 12 vs Android P blog. Android Q is also giving a tweak to the notification setting. Now, the notifications doesn’t fade away unless you perform an action on them – even when the device is restarted. In other words, the notifications remains on the screen till you slide the notification towards the left to open the icons or towards the right to dismiss them. Besides, a small notification displaying the icon of an app (or more) accessing your location or any other native device feature is also be existing in the upcoming Android version. This implies you need not go through the hassle of checking the setting and discovering which app is accessing your native device features – it will be directly displayed on your device. Android 10.0 (Android Q) is also bringing a significant difference in how mobile networks carriers dominate our SIM cards. The successor of Android Pie lets the network carriers decide which SIM card will work with a specific mobile device and which not, implying a list of “allowed” and “excluded” carriers that can be employed to block things like MVNOs even on the smartphones favoring the main carrier will be created. Also, carriers are empowered to restrict the functionalities of SIM in the second slot if the SIM card in the first slot is not from an approved carrier. This, as a whole, will give the network carriers power to control how users employ their devices. Google has also simplified the sharing procedure in Android OS. They have introduced a new ‘Sharing Shortcuts’ feature in Android Q that will enable users to directly switch to another application to share images, videos, etc. This feature will also empower developers to publish share targets to make any particular activity available in their Android mobile app with content attached, which will be further visible to users in the Share UI. 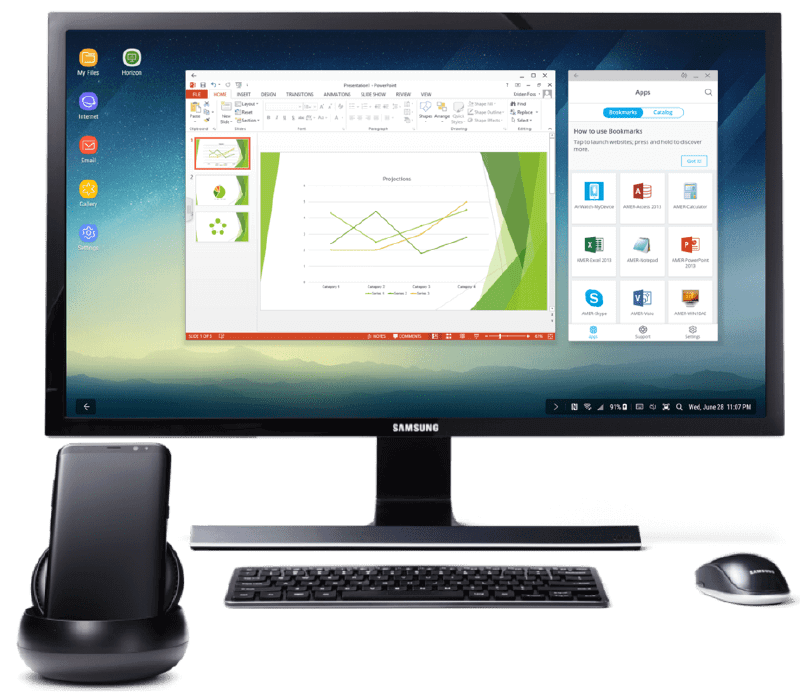 Last but not least, the feature that has gained momentum in the market equivalent to the discussion about Android 10.0 name is desktop mode. As depicted by the name, this feature makes it possible for the users to connect their smartphones with their desktops and access all of its characteristics. This means a PC-like home screen, resizable app windows and access to keyboard and mouse is now possible with the advent of next Android OS version. This, on one side, will enhance the user experience. Whereas, on the other side, will bring a new challenge for the Android app developers – demanding to revamp their app development strategies accordingly. So, here were some of the Android 10.0 features that will take the War of best Android OS version, which is right now between Android Pie and Android Oreo, to a newer level. These features will be accessible to all by the end of this year. But in case, you have a Pixel device and feel the urge to try it right now, you can do it by installing Android Q beta through the process shared below. How to Install Android Q Beta 1 on Your Pixel Device? DISCLAIMER: The process of installing Android Q beta on your device is quite easy. But, in case you come across some issues, you will have to reformat your device to get back to a more stable version of Android Pie. So, be prepared for it. To backup your device, open your Settings and tap on ‘System’. Once done, hit on ‘Backup’ button. The active window will inform if when your phone is set for a backup. The initial backup would take a longer time, but it will be really helpful to get back your device data if anything goes wrong while installing Android Q beta or working with it. Google allows to enroll in the beta by logging with your Google account and picking the compatible device that you are having. With this step, the OTA (over-the-air) update will be prepared to roll out on your device, just like a stable Android OS version. Now, you will be asked to click on ‘Enroll’ button. Once done, the update will begin to rolled out on your Pixel smartphone. This might take a half-hour or more, about which you will be notified on the enrolled device. When the new Android 10.0 beta developer preview reaches to your device, you will be asked to install, just like normal OS updates. Perform the needful and with this, the Android Q beta has hit on your device. Enjoy the features and functionalities. So, this was all that has been revealed about Android Q so far. Hopefully, we will hear more announcements before the Android Q beta (Developer Preview 2) is unveiled at Google I/O 2019 and Android Q hit the devices somewhere in August this year.